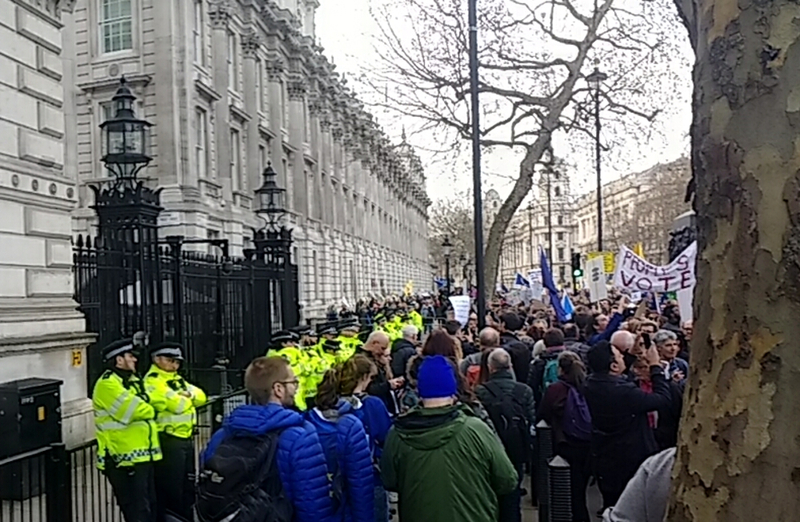 An estimated 2 million jubilant supporters took to the streets of London at the news, bringing the capital to a halt as they paraded with colourful banners from Hyde Park to Trafalgar Square and down Whitehall past her Downing Street home. Meanwhile the value of shares in the popular British high street bakery firm Patisserie Gregoire jumped by 19% as it was revealed that their new vegan sausage roll had in fact been a secret trial of the British astronaut diet. Wait… There Really Is A British Space Effort? 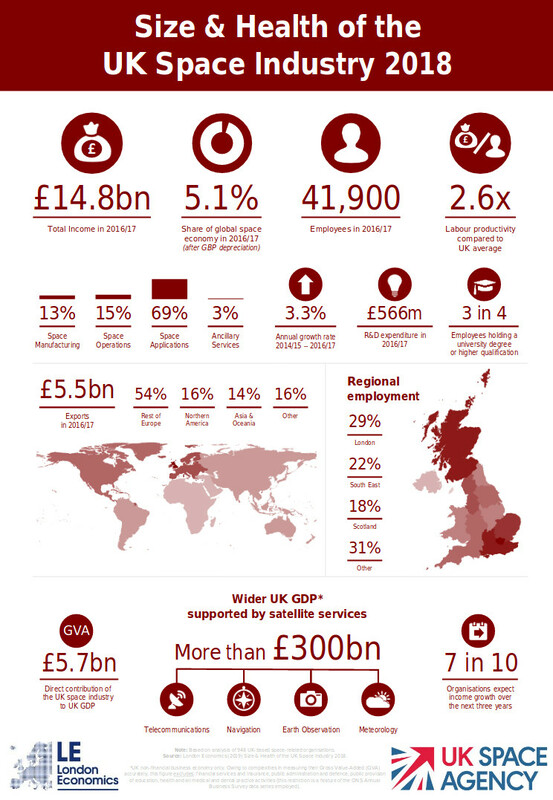 A glossy UK Government infographic talking up the British space business. As you might imagine, here at Hackaday we are enthusiastic about space exploration, and welcome wholeheartedly any news of new initiatives in that direction. But we recognise that in the light of the fast-moving political theatre of Brexit these are turbulent times in which what makes the headlines on April 1st might well have become merely chip wrappers by April 2nd. So to try to make sense of the story and give it some context, we thought we’d take a moment to look at the British space industry as it stands. And with a 5.1% share of the global space economy, a Government-funded UK Space Agency with plans for a spaceport, a host of space related work from the private sector, and some of the world’s more bleeding-edge research, it might come as a surprise to find out just how much of it there is. It’s difficult to write any story involving the UK in early 2019 though without further mention of Brexit, and the space business is certainly no exception with industry figures expressing concern about its effect. A story that came and went last year was that UK firms would be excluded from contracts associated with the Galileo satellite navigation system. Since a significant proportion of Galileo used British technology and their control centre was in the UK, the Government responded by announcing that it would commission a study into creating their own constellation of navigation satellites. To this end they have committed £92m, a sum which seemed to go down well with the choir but even with the UK’s demonstrable expertise in the field would represent a drop in the ocean compared to the cost of a final system. In a nutshell: they could certainly do it, but at a cost which future Governments might find difficult to stomach. This is something which if you’ve read the Prospero piece linked above, you’ll know has happened before. If there is a glimmer of hope for Brits in all this it is that the UK is still part of the European Space Agency, but as with Galileo any UK access might be limited when it comes to ESA projects funded by the EU. Happily for UK space-watchers, there is a piece of British space technology that might yet make all those rockets obsolete. Reaction Engines are a company based on a science park near Oxford, and they are a pioneer in the field of reusable space plane technology whose history in part mirrors Prospero, because the company has its origins in the team that produced yet another cancelled UK government funded space project. HOTOL was a 1980s programme to create a horizontal-takeoff British Aerospace spaceplane that was cancelled as the government of the time decided its focus should lie with the conventional rockets of ESA. Three HOTOL engineers formed Reaction Engines in 1989 with the aim of developing the HOTOL concept of a hybrid engine and aircraft that could use atmospheric oxygen to burn during the stages of its flight close to Earth, only switching to its onboard oxygen tanks as atmospheric pressure reduced to the point of not supporting combustion and the craft entered space. Their work has culminated in the precooled SABRE engine of which they are expected to have a ground-based working prototype by 2020, and the Skylon spaceplane concept design which will it is hoped fly in a future decade. In another nod to the Prospero story, the company’s UK test facilities are at Westcott in Buckinghamshire, once home to test stands for the cancelled Blue Streak rockets of the 1950s. So you may by now have gathered that while those British boots might not be treading the surface of the Moon in five years time to wave at their American and perhaps Chinese rivals there is a surprising amount of British space tech already in the skies as well as the promise of more to come. Whoever next lands a craft on the Moon should be hailed by space enthusiasts of all nations, accompanied by the fervent hope that they do so in safety and return home unscathed. Brits meanwhile should have no need to go back to the moon for a few more decades, after all they sent an intrepid pair of explorers there in the 1980s. They could build a rocket, but I doubt that they would be able to decide if they should launch it and where it should fly. Had me until the £350 million bit, was genuinely excited until I saw that. Send it up and retrieve their investment in navigation. Somewhere I read that when Isaac Asimov was introduced to Werner von Bruan, Isaac Asimov refused to shake von Brauns hand. And what was Von Braun supposed to do Edward? He started taking money from the Nazi government when he was in his early twenties because he wanted to go to the moon and Mars. Was he supposed to see into the future and know what was coming? Once you take money from the Nazi’s you can’t say you changed your mind and don’t want to work for them anymore. Should he have killed him self? What’s more, had Hitler taken the money from the V1 and V2 programs (both of which were failures) and put it into German jet-fighter technology or six engine trans-Atlantic bombers the war may have turned out very different to say nothing of the sky line of New York. 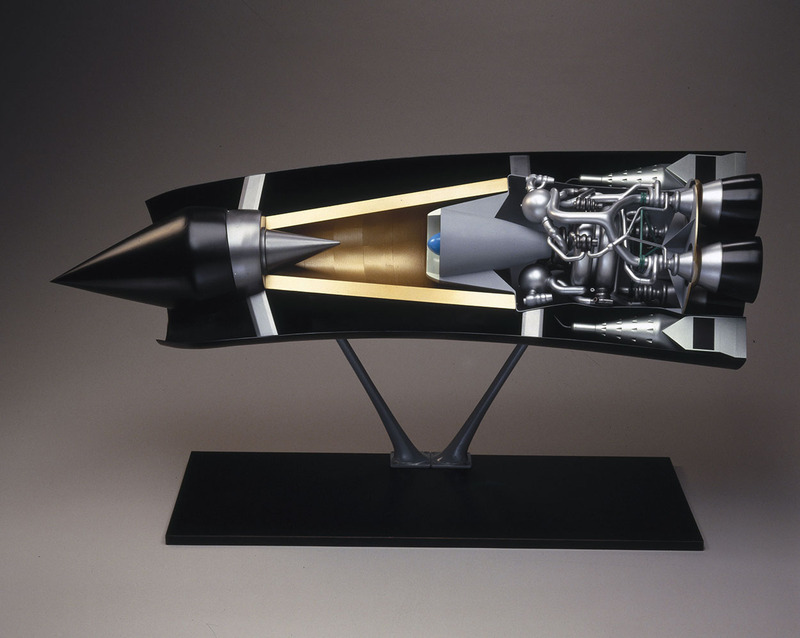 Von Braun’s work was a fantastic way for Hitler to waste valuable resources in something Von Braun correctly saw as having peaceful post-war applications. If you’re going to condemn the man himself for what his government forced him to do then you must do the same for all the men who followed orders to bomb German Civilians which had absolutely no impact on ending the war. Should they all have done what was best for the future? Yeah probably, but who among us would actually kill our selves vs follow orders that might allow us to live to see our families again? von Braun could have run away. But he didn’t. He chose to collaborate with the nazi regime. When the War ended he was picked up by the US as a engineering asset – his image rehabilitated for popular consumption. The Soviets had their own nazi rocket scientists. Considering how the nazi regime treated the civilians of its enemies, it was only fitting that the Brits, the US and SU beat the crap out of nazi Germany. Demoralize all parts of nazi Germany was an effective tactic. In WW2, the ends DID justify the means. You can reasonably argue that the V1 / V2 were a reasonable extension of bombing of civilian targets, It is harder to argue in favour of building the rockets with slave labour from Mittelbau-Dora. But this was all a long time ago, and (almost) nobody alive today played any part in any of it. Fool me once, shame on you. Fool me twice, shame on me. Fool me on April 1st and I’m an idiot. Wow, one well written April Fools joke…. And Theresa May seems in on the joke too. As i said in the serious part of the article, we kinda do. But not a manned one. Though the SABRE engine is no joke and could actually make carbon neutral air travel something a senator from Utah can’t make jokes about as it would actually be better than existing airliners vs worse. Hopes Brexit was just some long running April-fools joke that’ll be revealed tomorrow. Then maybe Britain can be involved with a space program. And then referencing the source files ! This one is real, no Fodoshob! Theressa May just seems to be made for bad photoshopping. It really compliments her look. There is one thing I would change though. Maker her an animated gif! Make her mouth move Monte Python style! Being a silly American, I cocked my head sideways at “£350m per week Brexit windfall”, and it took me to the last sentence in the first paragraph to realize I had been fooled. Apologies if it didn’t make it across the Atlantic. Should have gone with “I sent the EU £350,000,000 per week and all I got was this lousy t-shirt”. It’s unfortunate that this day in age with instant information at our fingertips, people are still duped by easily refutable cherry picked data, if not outright lies. I didn’t know Britain used milli-pounds, but hey 35p is nothing to sneeze at! Rue Britannia! Four heifers and their hay! Thank you for posting this. I didn’t know this. Ooh, this knowledge could give us a chance to do it twice a year! Wait.. is this an April fools joke? Why am I craving cheese now? ???????? this article reads like it was written by someone trying to hastefully come up with an april fools joke while taking speed and eating scones with a spot of tea. i bet all the links are rick rolls.